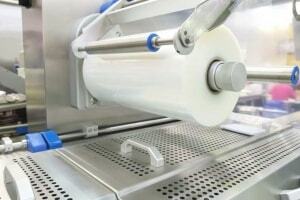 Plastic sheet rolls are run from sheeting and are perforated for easy tear off. They have a specific width and length depending upon the customer’s specific needs. These can run as either single wound or double wound, again depending upon the what the customer prefers and can be packaged on a roll or separated flat in cartons.